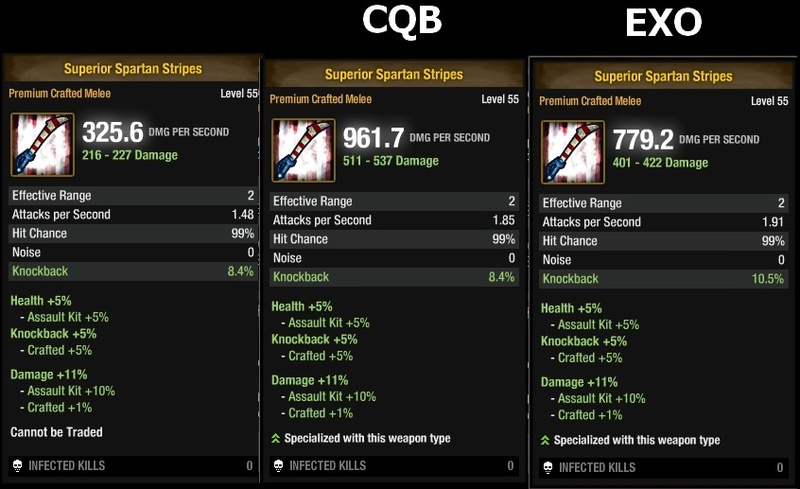 As usual, here's the comparison for the weapons in the Freedom Month; if you have trouble deciding what to craft for this event, read on. More to come as new crafts are introduced. EXO Heavy Brawler: +25% Damage, +2.5% APS, +20% Melee Combat. 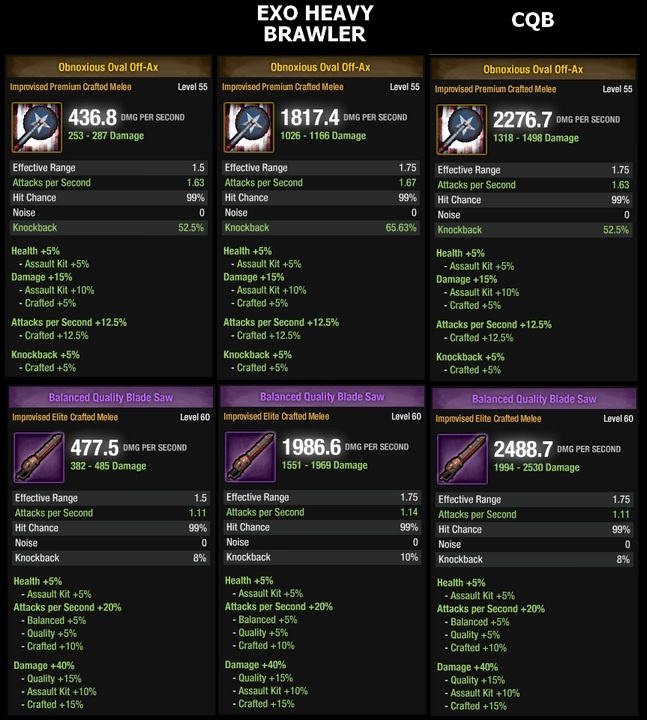 Comparison versus a Saw-Blade lvl 60. 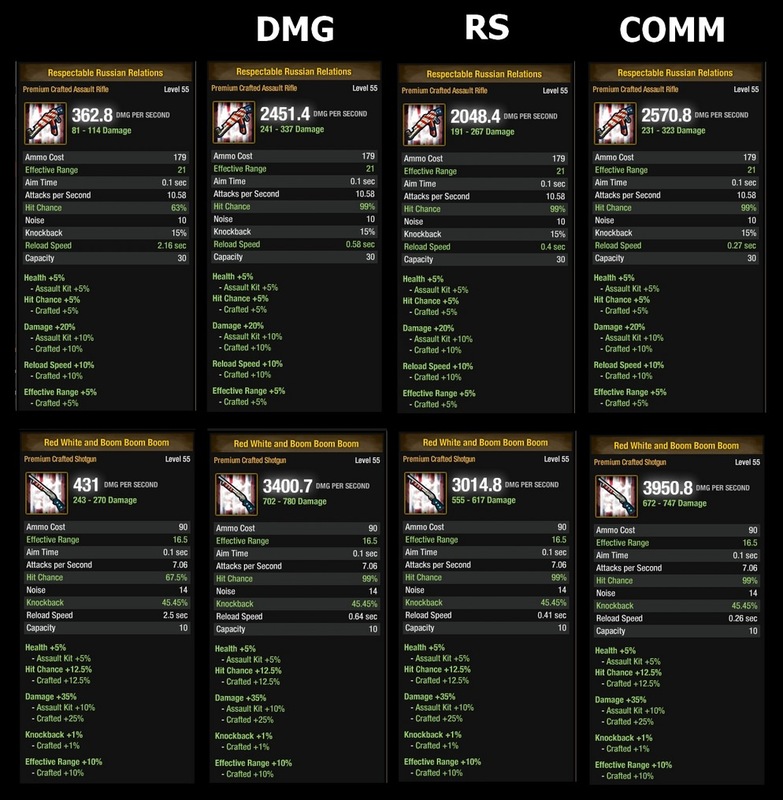 I get over 2600 dps from my oval ax with bralwer , also to be fair you are comparing level 55 items against level 60 1's with the melee. Edited by Rainwater, 18 July 2018 - 04:38 AM. Yeah, the point is not to match them to similar-level weapons, but to show if they're worth crafting. 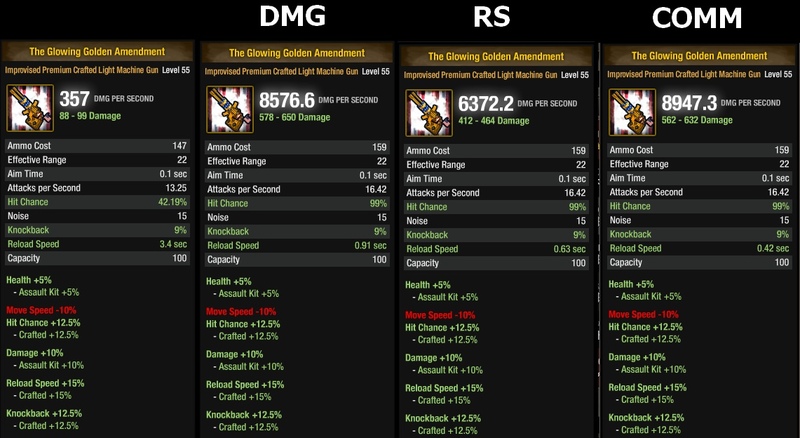 Because of that, I use what I think a lvl60 player might be using right now for the job: in this case, it's much more likely to have a decent craft of the Blade-Saw upgraded to level 60 because it's cheap to upgrade, so if the Oval axe (which costs much more to upgrade) can't outperform a lvl60 Blade-Saw that you probably already have, it's probably not worth crafting for you. Of course I'm also limited to what i have, and the final decision always belong to the player.